Montenegro‘s bus network consists of a well-coordinated array of private companies, and is far and away the best way to get around. By and large, services are cheap, clean and reliable, with buses rarely that full; the only downside is sometimes the lack of air-conditioning. A fairly comprehensive network of buses fans out from Podgorica, and there are also plentiful services along the coast, where a constant stream plies between all the major resorts, covering most other places en route. Inland, and particularly in mountainous regions, services are far more sporadic. Bus drivers are normally quite happy to drop passengers off at the roadside, though you do then face the problem of knowing when the next one might come along. Fares are slightly higher than on the trains – expect to pay around €3 from Podgorica to Cetinje (30km), €5 from Podgorica to Bar or Budva (both 70km), €7 from Podgorica to Bijelo Polje (100km), and €8 from Podgorica to Zabljak (130km). If you don’t have time to buy your ticket from the bus station counter, you can pay on board. 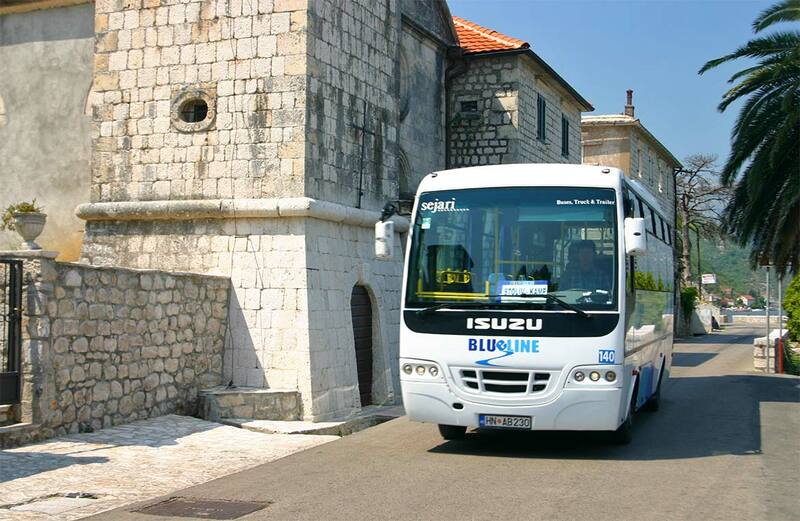 On BalkanVIATOR you can find the bus timetables between mostly all cities and towns in Montenegro. Not only with the departure times but also with the additional information of carrier, distance and travel time.